At CHELAN PARASAIL & WATERSPORTS, we have made our name from pioneering parasailing in Washington State, but we are proud to deliver other watersport rentals for you to enjoy on the water. Over the years we have amassed a massive collection of Lake Chelan rentals ranging from inner tubes to state-of-the-art paddle boards and wakeboards. Chelan Parasail & Watersports aims to make beautiful Lake Chelan as much fun—for as many people—as possible! That means we cater to everyone, from families taking it slow with a relaxing bob in the water, to expert adventure-seekers out for a high-energy thrill ride behind a sport boat, to everyone in between. We take fun seriously, which is why we sincerely believe no one should have to miss out on the chance to enjoy the water and the natural beauty Lake Chelan has to offer. 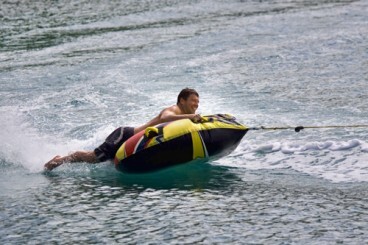 When it comes to Lake Chelan activities on the water, we have got you covered. 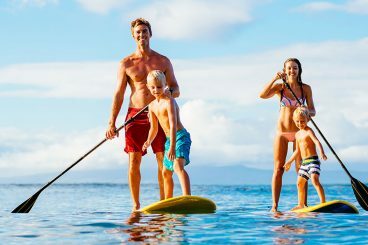 When you are searching for Lake Chelan paddle board rentals or inner tube rentals, you can depend on our team for the all your water activities. If you do not see the items you are looking for, give us a call at (509) 682-7245 because we might still have it. Lake Chelan is perfect for wake boarding! We have everything you need for a day of wake boarding or waterskiing on the lake. Chelan Parasail is the place to go for paddle board rentals. We'll get you all set up for a fun day of paddle boarding on the lake. Looking for inner tube rentals? No problem we'll get you all set up for a fun day of inner tubing on Lake Chelan!